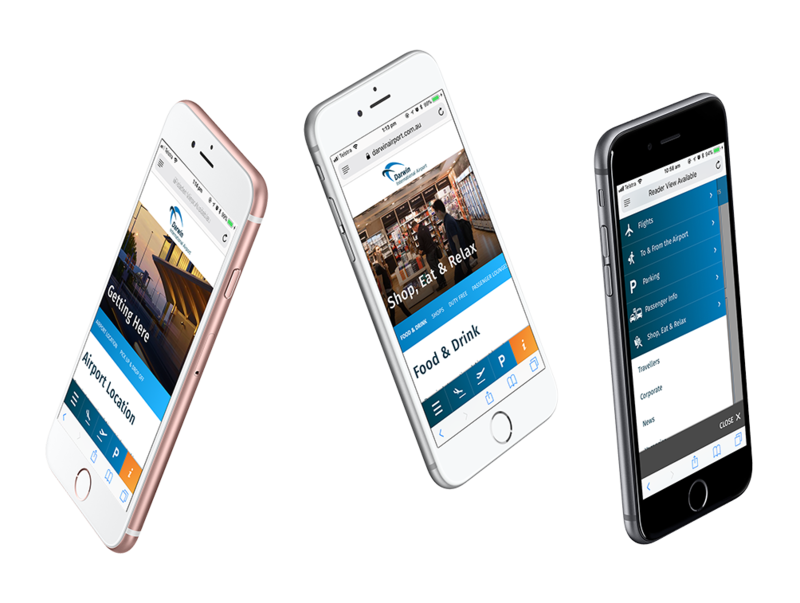 Captovate and Darwin International Airport (DIA) worked together to produce a stunning website that places DIA in a new league from a digital standpoint. Our brief was to create a powerful mobile first website. Drawing on our digital strategy expertise we researched and conducted user testing before delving into design and development. We started by evaluating a number of domestic and international airports from all over the world. We looked for common best practises shared by the market leaders and took note of emerging trends and opportunities which we could use for DIA’s site. We reviewed 20 airport websites, against 56 heuristics, across five key category areas on competing websites. These category areas included: content and information architecture; functions and features; web design trends; marketing and promotions; and mobile experiences. With figures like that, we knew we needed to build for mobile first. We designed and built the DIA website around mobile with clear navigation and made it work for desktop as a secondary outcome. DIA’s flight feed is a major feature of the website – the feed fetches live data (the software pulls in new data every 2 and a half minutes) and we created a search functionality that is truly user friendly. We worked closely with DIA to support their content strategy. By being located onsite with DIA’s media and communications team, we optimised the content layout (for example, scrollable sections, more headings, using drop downs to make content neater), we could improve content from an SEO perspective.